How many bars do you got ? they always show how many "bars" in some form or another. 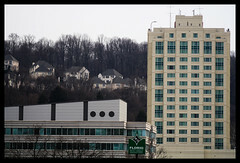 Anyways, I shot this the other week in Conshohocken, Pa .
That's really cool. Talk about good reception.